On the basis of evidence set out below, ICOMOS-UK firmly objects to the current option for a 2.9km tunnel for the substantial negative and irreversible impact if would have on the attributes of Outstanding Universal Value (OUV) of the World Heritage site (WHS) of Stonehenge, Avebury and Associated sites. To suggest that this damage can be mitigated by benefits brought by the tunnel to the centre of the WHS, is to fundamentally misunderstand the commitments made to sustain OUV at the time of inscription of the property on the World Heritage List. • All necessary Heritage Impact Assessments (HIAs) have been undertaken independently undertaken on the basis of a clear understanding of the attributes of OUV. ICOMOS-UK does not consider that these parameters have been satisfied, as set out in more details below, and thus we cannot support the 2.9km tunnel option, either with a corresponding by-pass to the north, or with one to the south, of Winterbourne Stoke, as currently proposed in the public consultation document. The reasons provided for excluding the southern route F010 are not substantial, and inexplicably the lack of harm to the WHS has not been given adequate weighting. Given that this option has no adverse impact on the WHS and can be built for substantially less money than the tunnel, we consider that the decision to exclude if from consultation must be re-considered. Subject to further refinements, this surface route option provides the opportunity to improve the A303 and to safeguard the whole of the WHS and its setting which must be the twin aims of this project. ICOMOS-UK strongly suggests that further consultations be held that explore options for a longer tunnel as well as comparative routes to the south of the WHS, with an equal and consistent methodology and scoring being applied for all route options, and one that recognises that WHS status is at least equal to that of an AONB, and arguably of much greater significance. During the pre-consultation options assessment process, we consider that the potential impact on the OUV of the WHS should have been given the highest priority, in terms of determining appropriate parameters for assessing impact on OUV, and this in our view does not appear to have been the case. ICOMOS-UK understands the financial constraints that are in place, and the need to resolve ongoing difficulties with the road network, but does not consider that such constraints can be a justification for compromising a full assessment of potential adverse impact of various options on the OUV of the WHS in advance of decisions being taken, or indeed for inflicting considerable irreversible harm on the WHS which we consider that the proposed tunnel option would do. • Highways England - Route F010 (a 21.5km surface dual carriage way that bypassed the World Heritage site to the south) was a 3rd option that we understand performed well but that was excluded from the current consultation. For clarity we will refer to these routes by their Highway’s England designation. • With an apparent pre-set length for the tunnel. Up until now, it is disappointing to note that there appears to have been no dialogue or consultation by the Government with key cultural heritage stakeholders, apart from Historic England and the National Trust. As the problems of the Stonehenge road have been on the agenda for at least two decades, amongst these stakeholders there is considerable technical knowledge and understanding of the issues and the potential solutions that have been considered as well as of the OUV of the WHS. This understanding of OUV has been enhanced by recent extensive fieldwork and archaeological investigations that are beginning to show the scope, interconnectedness and current rich archaeological potential of the wider Stonehenge landscape, of which the main henge monument is the most conspicuous part. Perhaps not surprisingly, widespread concerns are being expressed by archaeological, cultural heritage and landscape organisations who have so far not been engaged in the consultation and evaluation processes. i) Lack of adequate acknowledgement of the implications of WH status The commitments of the State Party under the WH Convention to protect the international status of the WHS has not been given the status needed to reflect the commitments of the State Party to the WH Convention. We do not understand why the need to protect the WHS has apparently been given such a low priority in the overall assessment process, below AONBs, leases and general environmental concerns, and consider that this reflects poorly on the overall credibility of assessment process. The hierarchy of constraints applied to this (and to the other two A303 upgrade projects in the same Highways England funding commitment) appears to have little logic with WH status being given lower priority than an AONB, environmental factors and existing leases. At the earliest stage of the planning process, for one of the other two A303 upgrade schemes within the funding commitment that includes the Amesbury to Berwick Down section, the then Highways Agency were directed to avoid the Blackdown Hills Area of Outstanding Natural Beauty (AONB). As a result they now propose instead to upgrade a branch road to a dual carriageway link between the M5 at Taunton and the A303 rather than upgrading the existing A303 corridor. The justification for this proposal by Highways England was taken purely because the existing A303/A30 runs through an AONB. AONBs have national status for their nature conservation and visual qualities. If there is a presumption in favour of respecting the integrity of areas with national designation, there must also logically be an enhanced commitment to international designations, such as a WHS. As the Government has committed itself to sustaining the OUV of the WHS of Stonehenge, Avebury and Associated Sites for the benefits of all humanity following its inscription on the WH list in 1998, it is not logical or acceptable to suggest that this means that the WHS has lesser value than an AONB. Similarly, in the consideration of the various potential options for the Amesbury to Berwick Down section, it appears the then Highways Agency were instructed not to consider any options for a southern route that crossed land within the boundaries of RAF Boscombe Down. We understand this MoD site is leased to QinetiQ on a 25-year Long Term Partnering Agreement (LTPA), thus Boscombe Down remains a government airfield but is operated by QinetiQ on behalf of the MOD. Publically available sources suggest the land is leased until 2025 or 2026, but it remains outside the WHS, and we do not consider that the commercial or strategic non-availability of the land should have been a prima facie reason for excluding it in the options assessment. No reason is offered in the current consultation for the exclusion of the RAF Boscombe Down land from areas to be considered. It has no other known specific designations or constraints beyond its ownership and lease status. It is our view that all the other southern routes that were investigated prior to the current public consultation were longer in distance, and in their geographical divergence, from the current course of the A303 than they would have been if the land at RAF Boscombe Down had been ‘available’ and considered as part of the initial options assessment process. On the basis of the methodology set out by Highways England in consultation meeting with the Stonehenge and Avebury WHS Steering Groups, it was clear that many of the southern routes, including the ‘3rd’ place route F010, were discarded for perceived traffic and sustainability issues that could have been eliminated, or substantively addressed, if the Boscombe Downland had been included in the assessment process. Indeed it is likely from what was presented on the scoring for the options assessment criteria that if the Boscombe Down land had been taken into consideration, and new routes for a southern bypass of the WHS had been assessed on the basis of its availability, then these routes could have provided a much more favourable scoring outcome than the variations on the single tunnel route D061 and D062 currently being consulted on. Moreover these new southern routes, or a variation of F010 redirected with a more efficient route through Boscombe Down, do not have any direct or irreversible harm on the OUV of the WHS such as result from routes D061 or D062. Such a claim is made in the justification for Routes D061 and D062 when it is said that the benefits of the tunnel in the central part of the WHS will outweigh the dis-benefits resulting from damage to the setting of known archaeological sites as a result of the construction of portals and approach roads. Direct damage to attributes of OUV is a direct threat to OUV, and this damage or threat cannot be mitigated by benefits elsewhere in the WHS. It is a fundamental principle of WHSs that the OUV for which they were inscribed must be sustained wholly not partially; however great the benefits of an improvement project might be, these cannot compensate for loss to the attributes of OUV resulting from that same project. The main henge monument is said to be of international status equivalent to the Pyramids, whereas what has been recognised as being of international status, through inscription as a WHS, is not just the henge monument on its own but the whole of the two parts of the WHS of Stonehenge and Avebury and Associated Monuments. This includes all the relevant monuments and archaeology (known and currently unknown) therein that contribute to the attributes that make up OUV. This lack of clarity has been exacerbated by the lack of HIAs that would have set out formally the potential impact on attributes of OUV, and indeed by the lack of any mention in the consultation process of the attributes of OUV as set out in the Statement of OUV. 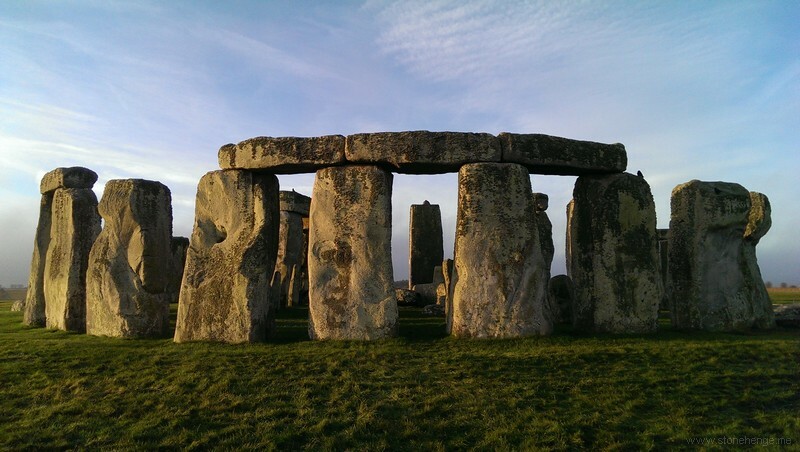 Archaeological details on even a very basic level, particularly in relation to solstice alignments, are absent from the Technical Assessment that accompanies the consultation. The focus of the consultation relates mainly to the visual and acoustic improvements arising from diverting the A303 away from Stonehenge itself (i.e. the main henge), and the fact that proposed portals are said to be invisible from Stonehenge, with the implication that this is the main consideration. The assessment lacks any analysis or appreciation of the irreversible impacts on archaeology and on archaeological associations and alignments that will result from Routes D061 and D062 in other parts of the WHS and thus on the attributes of OUV for which the property was inscribed. 2 Preserving Archaeological Remains: Decision-taking for Sites under Development (Published 8 November 2016) - https://historicengland.org.uk/images-books/publications/preserving-archaeological-remains/ and the provisions for heritage assets of archaeological interest set out in the Planning Practice Guidance. Without detailed HIAs having been undertaken that consider impact on the OUV of the WHS, it is difficult to understand precisely how the disbenefits of the various options have been assessed in relation to OUV. From the information provided, there appears to be a considerable disparity between the considerable dis-benefits of the tunnel Route Options D061 and D062 in terms of impact on OUV, and those of the discarded southern Route F010 outside the WHS, which are minimal. The southern F010 route would be sufficiently to the south of the WHS that while it might give rise to some impacts on the setting it would not directly impact at all on the OUV of the WHS. Furthermore, it is understood that the constructions costs of the southern route F010 have been estimated to be £400m less than those for the tunnel. No convincing grounds have been put forward as to why the southern route entirely outside the WHS was discounted before the public consultation, other than to say it might promote ‘rat running’ on the remaining existing routes within and around the WHS in the vicinity of the former (then closed/removed) section of the current A303. However, it is noted that the data used to support the claim that ‘rat running’ would occur, leading to significant local traffic dis-benefits, was presented without any mitigation that could result from a fully designed southern option that could include measures to prevent/discourage this effect. We understand that these mitigation measures could have been delivered if this Option had been taken forward for full design. On this basis, the data used to eliminate the southern option F010 on the basis of sustainability and traffic grounds appears flawed. And in terms of impact on OUV, the lack of impact has not been given a high weighting. It is understood that the location of the western portals is a cost base decision, rather than a decision based on detailed understanding of the location and significance of cultural heritage assets that contribute to OUV. As much of the cost of a tunnel derives from the initial setting up costs, the cost of extending it would not necessarily be proportionate (i.e. the price per metre would reduce the longer the tunnel was, subject to other considerations relevant to the design of a longer tunnel). It is further understood that the Highways Agency consider that is it would be possible technically to extend the tunnel length to allow portals to be placed at the edge of the WHS (albeit this would also require detailed HIA analysis in terms of impacts on the setting of the WHS), but that they are constrained by their brief and the funds so far allocated. Without detailed HIAs to set out clearly and formally the potential adverse impacts (or benefits) of the various previously discarded route options on the OUV of the WHS – which has not been done – the consultation on this single tunnel option, with its two sub-options for a Winterbourne Stoke bypass, does not stand up to scrutiny either in terms of the methodology for its initial selection over other potentially less harmful options, or in terms of the assessment procedures that have been applied to this specific option. With regard to the latter, the potential impact of the western portal and the associated c. 2km of new dual carriageway in previously undeveloped land within the WHS has the potential for irreversible damage the settings of and relationships between a number of highly significant monuments (both upstanding and below ground) in the SW quadrant of the WHS, which contribute to the OUV of the property. And has been set out above, no amount of benefit to the centre of the WHS resulting from the tunnel can mitigate that damage. The details provided in the documentation do not allow an understanding as to how the severe damage to the WHS deriving from either Highways England Routes D061 or D061 can be compared to the harm/benefits/costs of the other options or the status quo. For clarity, on this basis, we consider that both Options D061 and D062 presented under the current public consultation would likely result in a very high level of substantial harm (under Para 133 of the National Planning Policy Framework (NPPF)) to a designated heritage asset (the WHS) of the highest international significance, and similarly to many other high value designated national heritage assets within the WHS. Furthermore, it is clear to us that none of the other exceptions set out in the points at Paragraph 133 of the NPPF apply, and, as other equally, or more favourable, routes for the upgrade of the A303 have been excluded to the south of the WHS, there is no justification for the harm arising to the WHS when this could be entirely avoided, whilst also delivering the same traffic benefits that may result from the removal of the current route of the A303 in routes D061 or D062. On the basis of evidence set out above, ICOMOS-UK firmly objects to the current option for a 2.9km tunnel for the negative and irreversible impact if would have on the attributes of OUV of the WHS. To suggest that this damage can be mitigated by benefits resulting from the tunnel to the centre of the WHS, is to fundamentally misunderstand the commitments made to sustain its OUV at the time of inscription of the property on the World Heritage List. • It is clearly demonstrated that temporary works associated with the construction of an acceptable road/tunnel scheme do not cause damage to the WHS and setting, including by construction compounds, haulage roads, and ground treatment/dewater plant and spoil holding lands. • All necessary Heritage Impact Assessments (HIAs) have been undertaken on the basis of a clear understanding of the attributes of OUV. The reasons provided for excluding the southern route F010 are not substantial, and inexplicably the lack of harm to the WHS has not been given adequate weighting. Given that this option has no adverse impact on the WHS and can be built for substantially less money than the tunnel, we consider that the decision to exclude if from consultation must be re-considered. Subject to further refinements, this surface route option provides the opportunity to improve the A303 and to safeguard the whole of the WHS and its setting, and these must be the twin aims of this project. ICOMOS-UK strongly suggests that further consultations be held that explore options for a longer tunnel and also comparative routes to the south of the WHS, with an equal and consistent methodology and scoring being applied for all route options, and one that recognises that WHS status is at least equal to that of an AONB and arguably of much greater significance. During the pre-consultation options assessment process, we consider that the potential impact on the OUV of the WHS should have been given the highest priority, in terms of determining appropriate parameters for assessing impact, and this in our view does not appear to have been the case. ICOMOS-UK understands the financial constraints that are in place, and the need to resolve ongoing difficulties with the road network, but does not consider that such constraints can be a justification for compromising a full assessment of potential adverse impact of various options on the OUV of the WHS in advance of decisions being taken, or indeed for inflicting irreversible harm on the WHS which we consider that the proposed tunnel option would do.